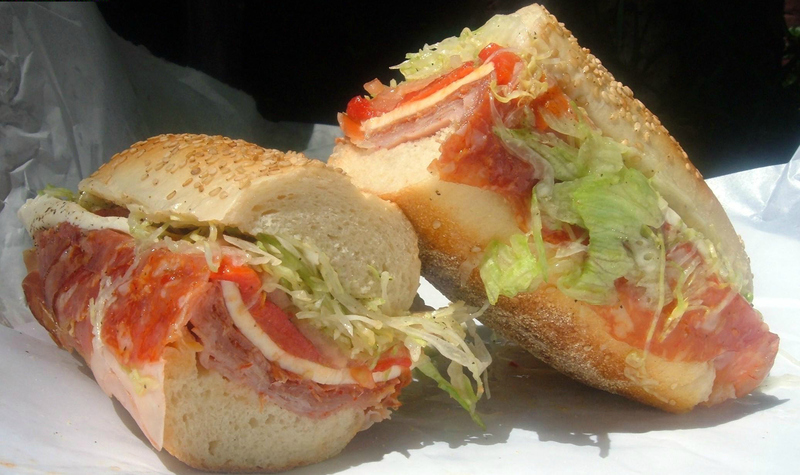 Featured on CBS Connecticut, and known for being the best deli on and around the shore, Sadamarcos is without a doubt the real deal. Saldamarco’s is located in the beach town of Clinton, but once you step inside, you’ll feel like you are in an Italian Deli in old the neighborhood. Repeatedly voted “best Italian deli on the shore” for its dockside grille meals (which begin with the Fisherman’s Morning breakfast – served all day – and continues on through the sausage and peppers fest of lunch), Saldamarco’s is more than just a place to eat in or take out. It has a locally famous bakery and an even more famous butcher shop – with a butcher on duty. Come experience the “old Italian feel,” and Mangia, Mangia! Great place. In all my years, I’ve yet to find a place that has a bakery, butcher shop and deli all under one roof. Has that old Italian feel to it. You can’t find places like this anymore. Haven’t been in a loooong time. Miss the sandwiches and meats so much. Reminds me of the old school delis in Brooklyn. Good stuff. Never been but sounds like its good! I will forever say this is the best deli in the state. Can’t think of any other that comes close. Reminds me of an old style butcher shop. Like taking a trip back in time. Really great deli and more. Totally not what I expected. Amazing deli. So great to see Saldamarco’s on here. Lol at the comment above. Without a doubt true! Awesome deli. If you’re Italian…and you know good Italian food…GO!!! !